Did you hear the one about the bartender and the rabbi? 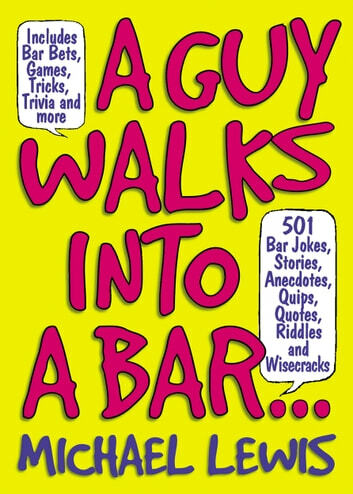 If not, you?ll find it in this delightful book?along with hundreds of other jokes and funny stories, classic and brand-new?about the denizens of bars, pubs, and watering holes everywhere. Michael Lewis has gathered a wide range of the very best and funniest bar jokes, riddles, anecdotes, and quotations in this rib-tickling (and thirst-inducing) collection. 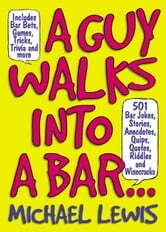 Sure to be a favorite of tipplers of all stripes?and the teetotalers who drive them home?the book also includes bar bets, games, tricks, trivia, and more. Featuring classic "bartoons" opening each chapter, its nifty 5 x 7 trim size makes it a perfect party takealong or barside companion?right next to the cocktail shaker, the jar of olives?and Black Dog?s mega-bestselling New New York Bartender?s Guide.